Every year, I take a moment to reflect on the ups and downs of my running season, achievements and experiences I went through for the current year. I also discuss on my present state of mind and what I hope for the future. Not until we are lost do we begin to find ourselves, and realize where we are and the infinite extent of our potential. I will start off the 2014 Retrospect post by going on record to say that 2014 hasn’t been the best year for me. I made a hard decision to leave my job in the middle of the year. I had worked at the National University of Singapore for about 4 years, tho I had made an internal transfer to another department before leaving. The situation at the newer office was never going to work favourably given the circumstances at hand, thus I felt it was best to move on. At times I do feel a sense of loss that I had to regrettably leave a place that felt like a home. At this point, I have yet to secure new employment despite having officially graduated from university a few months earlier. As I had foreseen, my lack of industry experience and relevant certifications meant that I was going nowhere. My confidence has really went down the last few months. But being able to train more often and at my own time has been therapeutic at best, akin to taking on painkillers to cover up the pain while I go through this agonizing transition period. On one hand, I still wish to pursue a line of work which is both related to my course of study (Sports Science) as well as my trail running pursuits. On the other hand, there doesn’t seem to be much outlet or avenues for it. Or maybe I’m just not looking at the right places. The introvert in me struggles at times. With those personal matters out-of-the-way, here are some of the highlights from my year in 2014. I took a leap of faith this year by participating in my first 50 km trail race which also happens to be my first trip to Hong Kong. Despite my best of preparations, I was taken aback by the toughness of the course. Thankfully, I didn’t meet much problems during the race and finished it under 12 hours. 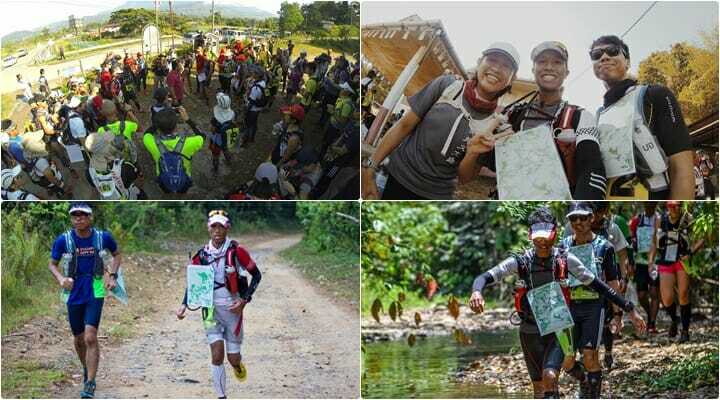 In less than a few month after Translantau, I returned to Sabah to take part in the Sabah Adventure Challenge. I hope this event will be a staple in my running calendar. It is a good detox away from the internet and a good time to be with other like minded runners who eventually became good friends. This year was special as I brought along two of my friends to the event and met new ones along the way. The race this year was especially difficult for me as I was running on an injured ankle I picked between the two events. Having had to drop out of TMBT due to my employment issue, I figured I still wanted to fly out one last time before the year ended. 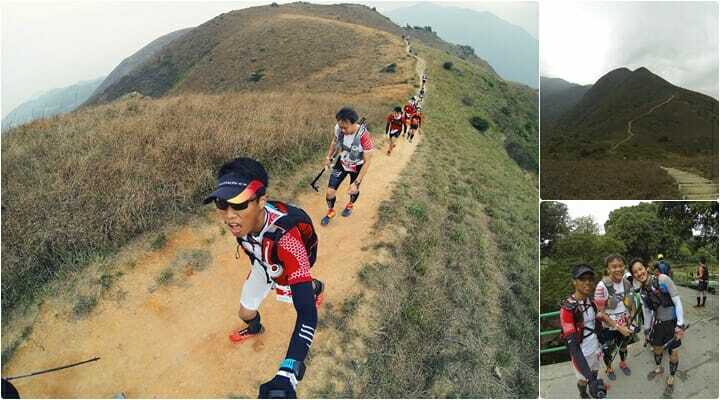 Thus, my friends and I signed up for the inaugural Lantau Vertical, a vertical kilometer race where runners ran up an accumulated elevation gain of 1000m. It was great to be able to find time to sight see in Hong Kong, meet up with friends (Samantha from RacingThePlanet) then take part in a race all on the same weekend, in the company of good friends. 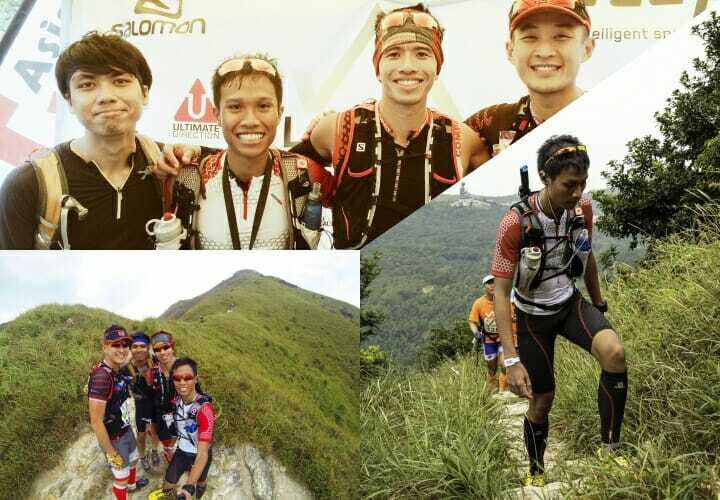 I will be returning to both events, the Translantau and the Sabah Adventure Challenge. As for the Translantau race, I will running the 100km course, as I had run the 50km course under 12 hours, thus making me eligible to sign up for the race. There’s a whole post about that. Do check it out! I officially joined Nuke Optics as an athlete in March this year. 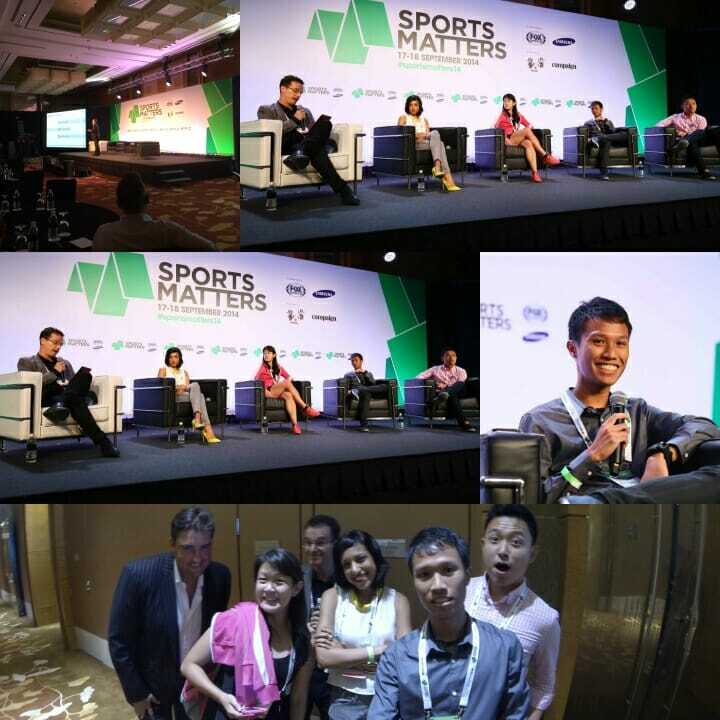 I was invited to attend a regional sports conference, Sports Matters, as a panelist for a segment on Social Media. I was very surprised when I received the request as I didn’t think this website would be that much of an influence. But I guess it did so there I was on stage, giving my thoughts about social media in sports to an audience of CEO’s, corporate figures and brand representatives. I will admit I was quite nervous to be on stage! I’m sure this is a one-off event, as I don’t foresee being invited to another conference or being asked to speak publicly on sports social media matters. 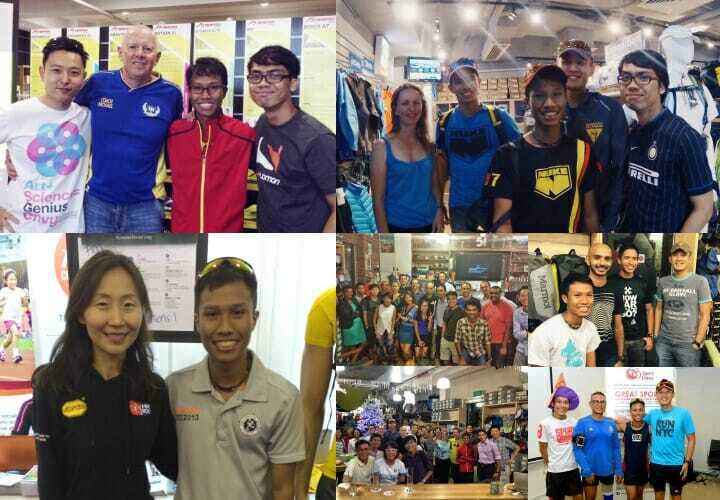 2014 was a great year for meeting lots of wonderful people in sports, be it trail running or other sports. With Coach Michael Lyons of Tri Edge Triathlon Coaching at the Newton Shoe Launch event. With Samantha Fanshawe, RacingThePlanet President of Events at the RacingThePlanet store in Hong Kong. With Janet Ng, Race Director for the Vibram Hong Kong 100 race at The Runners Convention Booth at the SCMS Expo. With Coach Andy Dubois of Mile 27 at his presentation at Campers Corner. Met Paviter, a top local ultra-runner at the same event. With Colin Geddess, Race Director of the Grand to Grand Ultra at his presentation at Campers Corner. With fellow runners at the SportCares meet and greet session with Haile Gebrselassie. Need I say further? This guy deserves his own post for his iconic status in the running community. While he was not my immediate hero in running, I’m sure he is for many other runners. Getting a chance to meet him the weekend he was racing the 10km event at the SCMS was a once in a lifetime experience. Click here for that post. With that, I would like to thank you readers, fellow family, friends and acquaintances for visiting this site and being part of my continued journey through trail running. I sincerely hope that my site has been a useful resource for you and I will do my best to bring on new content for 2015. Have a great 2015 ahead!